Our goal is to connect people with the best local experts. We scored carpet cleaners on more than 25 variables across five categories, and analysed the results to give you a hand-picked list of the best carpet cleaners in Auburn, CA. Burton’s Superior Cleaning brings IICRC certification, 24 years of experience and high-powered truck mounted equipment to you. For Sacramento, Lincoln, Rocklin and Roseville we offer all these services and more for your home or recreational lifestyle! Home services include carpet, rugs, and ceramic, porcelain or marble tile flooring. Also for your home and recreational vehicles, we offer upholstery, mattress, yacht, boat or RV services. With online scheduling (including internet specials) we offer the ease of getting what you need with a green way to work! Our high volume vacuum extraction system for carpets uses fewer chemical cleaning agents to cater to sensitive-skinned clients, and we believe that steam is the best way to clean. Eco Clean Carpet and Tile Care, located in Rocklin, CA, have helped thousands of customers maintain hygienic, stain-free spaces. They offer a range of services like carpet and upholstery cleaning, tile and grout cleaning and sealing, pet urine odor removal, stain removal, carpet protection, and marble and stone sealing. Different levels of cleaning are available, from maintenance using fewer chemicals to total restoration, to ensure that carpets are preserved for years. Many customers have found the technicians prompt, knowledgeable, and skilled, the Better Business Bureau has recognized them with an A+ rating, and they offer discounts of up to 40%. Folsom Cleaning Service is a trusted contractor in Sacramento that covers several neighborhoods in the Central Valley and Gold Country. The company is a licensed, insured, and bonded trade that has been satisfying residential and commercial clients for more than a decade, and it caters to property owners, managers, dealers, and builders. The experienced and trained personnel have all passed thorough character checks, and they commit to respecting the site and its occupants, as well as completing the job on time. Folsom Cleaning Service guarantees the work of the crew to show its commitment to total customer satisfaction, and it offers maintenance plans to keep living, working, and recreational spaces pleasant and comfortable through the seasons. The shop does not charge for the onsite inspection and detailed estimate. Hi-Tech Carpet and Restoration is a family-owned and operated full-service cleaning company located in Rocklin, California. It opened in 1988 to serve the Sacramento area. Hi-Tech Carpet and Restoration offers a licensed team of professionals who are committed to high-quality carpet and upholstery cleaning, water damage restoration, tile and grout cleaning, and mold remediation. Clients speak highly of the company's accurate quotes and reasonable prices. Hi-Tech Carpet and Restoration is committed to fair prices with no hidden charges, and it frequently offers specials on its website. Clients appreciate the employees' prompt and professional service. My Dad's Cleaning Service has been cleaning carpets for residents in Rocklin since 2001. Both residential and commercial clients hire the group for its state-of-the-art cleaning methods for carpets, rugs, and upholstery, and services are also available for oriental rug cleaning, area rug cleaning, odor and stain removal, and the cleaning of tile and grout, windows, and gutters. Window screen repairs are available as well. Crews strive to provide flexible and convenient scheduling, work quickly and efficiently on every job, and take customer calls any time seven days a week. My Dad's Cleaning Service holds an A+ rating as an Accredited Business with the BBB, and interested parties can read about why professional carpet cleaning is recommended on the company's site. Neil’s Carpet Cleaning is a residential cleaning company that operates in and around Lincoln, California. They offer a 100% customer satisfaction guarantee and take pride in using the latest cleaning technology in their customers’ homes. Neil’s Carpet Cleaning uses super-concentrated cleaner and odor control products to clean their clients’ carpets, rugs, and upholstery with its four-jet wand. There are no square footage restrictions, and the company can make morning, afternoon, or evening appointments. Clients appreciate the fact that Neil’s Carpet Cleaning can work around their schedules and also the effectiveness of the company’s deep cleaning solutions. Neil’s Carpet Cleaning is licensed and insured, and also offers professional allergy control services and home sanitizing and deodorizing services. Pressluft is a professional carpet cleaning company located in Rocklin, California that serves clients in the surrounding metropolitan area. A Certified Master Rug Cleaner, the company provides clients with such services as rug cleaning and repair, sales of rug pads, clothes moth control techniques, applications of rug protectors, rug wrapping, and more. The company is open Monday through Friday and can be contacted by phone or email for appointments. Previous clients praise the company for the quality of its work as well as its reliability and thorough attention to detail. A member of the Association of Rug Care Specialists, Pressluft has been in business for more than 28 years. With over 20 years of experience professionally cleaning carpet, upholstery, tile, and grout, Priceless Carpet and Tile Cleaning serves Rocklin, Grande Bay, Roseville, Folsom, Citrus Heights, Sacramento, Auburn, and surrounding areas. Carpet and upholstery are expertly cleaned with particular attention paid to stains, odors, and pet stains. 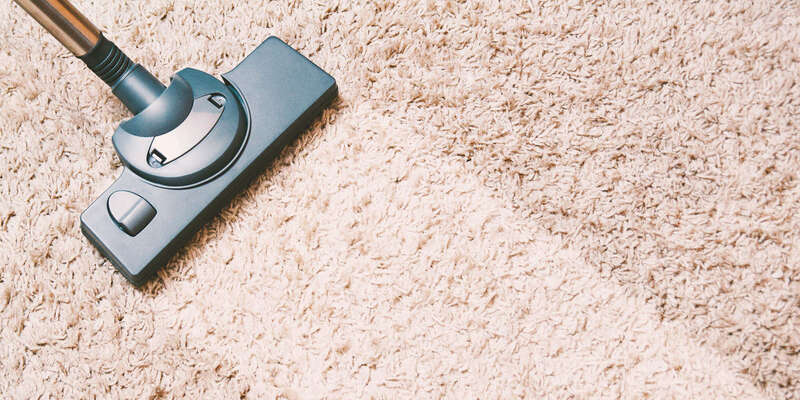 Fibers and fabrics can get dingy and dull from regular wear and tear, but technicians at Priceless Carpet and Tile Cleaning have it looking new again in no time. The company’s steam cleaning system brings new life to tile and grout, and they have the expertise to change the color of existing grout if customers are unhappy with the original color. Pro Team Carpet Cleaning Rocklin is a family owned and operated professional cleaning company serving the Rocklin, California community, and the surrounding area. This company offers a variety of services including vacuuming, spot treatment, hot water extraction, super fast drying, pet odor removal, Scotchgard advanced carpet protection, deodorizing, upholstery cleaning, tile and hardwood floor cleaning, and truck mounted cleaning equipment. The team of professionals at Pro Team Carpet Cleaning Rocklin is Institute of Inspection Cleaning and Restoration Certification certified in the cleaning and restoration of all types of flooring. Customers highly rate this company for their efficiency, professionalism, and quality service. Since 1989, Sierra Carpet Care has provided professional carpet care services to commercial and residential clients in the greater Sacramento area. Locally owned and operated, Sierra Carpet Care sends a professional technician in uniform to customer homes and offices to clean various types of carpet, upholstery, tile, and fabrics. Sierra Carpet Care employs truck-mounted cleaning equipment and equips itself with non-toxic cleaning and deodorizing products. Upholstery cleaning from Sierra Carpet Care ranges from dry cleaning to hot water extraction. The company also provides services in pet odor control and area rug cleaning. Sierra Carpet Care aims to educate its clientele with helpful tips for carpet damage control.